Do you like embroidered decoration with a folk pattern? Do you like accessories with embroidery? Looking for a gift? 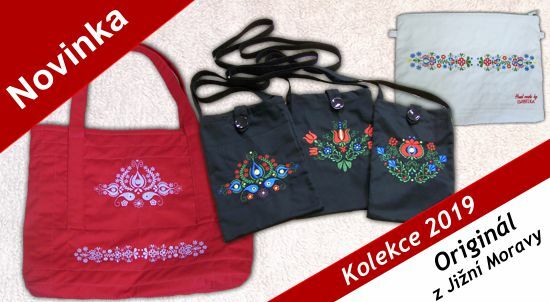 In our offer we have a lot of accessories with embroidery and will definitely choose everyone. And every month we have something new. We design and embroidery patterns for home accessories (pillowcases, tablecloths, blankets, etc. ), but also for shirts, sweatshirts, shirts and other textile materials. We have three color variants in the offer for the pattern. Easter holidays are the most important Christian holiday and celebration. Easter is a period of folk traditions associated with a spring welcome. For such a beautiful holiday is the need for original and beautiful decorations and decorations. And that's why we have something for beautiful Easter. One of the decorations and decorations is Easter egg. Is based on basic folk patterns. There are a few basic shapes that are used and on this basis a few designs have been designed to use for the embroidery of embroidered eggs. The patterns created by us can be combined with each other and in this way create the original look of the egg. We have eggs in several variants of composition and size. Embroidered decorations and decorations can have different shapes for use on weekdays and festive occasions. Among embroidered ornaments we can include embroidered jewelery, which you can find in our offer at eshop. Designing, making embroidered jewelry is always an interesting and original work. Based on the idea of creating a jewel it is laborious and time consuming. Embroidered jewelry belongs to something that is especially interesting, charming and is a beautiful addition. Embroidered figurines Angel, St. Nicholas, Devil that have been produced for many years for different occasions can also be purchased in our e-shop.